Last night’s Golden Globes ceremony was slightly different to previous years, with numerous celebrities taking a stand against sexual assault and harassment. Many high profile actresses such as Meryl Streep, Reese Witherspoon and Natalie Portman rocked all-black outfits on the red carpet to signify their solidarity with victims of such crimes. You're in a Woody Allen movie and never apologized to Janey Jackson. 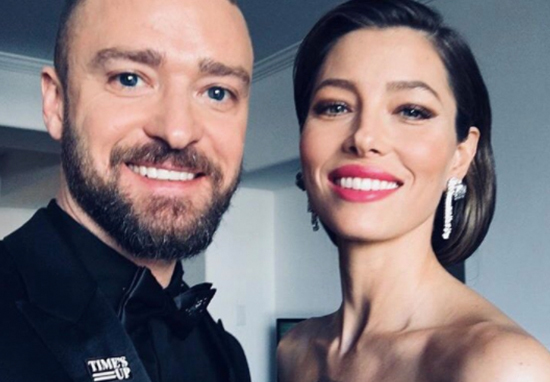 Posting a selfie with his wife – The Illusionist actress Jessica Biel – the singer sported a black outfit, with the ‘Times Up’ logo clearly visible. However, his stand didn’t go quite as planned, with many people viewing him as a hypocrite for working with Woody Allen – who’s been at the centre of some serious sexual assault allegations for many years. You starred in Woody Allen’s new movie. You built a career on malicious misogyny towards Britney Spears. You left Janet Jackson out to dry. This is pure performative fraud. JT will star in Allen’s Wonder Wheel, along with Kate Winslet, who’s also been criticised for defending the controversial director. It felt like classic Hollywood. They would send the script to an actor and go, ‘We really want you for the part. Will you accept the part?’ ‘I was like, I think he’s forgetting that he’s Woody Allen and that I’d love to work with him, honestly. So yeah, I read the script and didn’t even make a joke to play coy. I said, ‘Yeah, I’m in’. Can't really star in a Woody Allen film and pretend to be on the side of #TIMESUP . It looks like Justin may have made the wrong call on this one. Sexual abuse, can and unfortunately, does occur outside of heteronormative relationships.